Need a mobile tyre fitter in Oxfordshire, Berkshire or Buckinghamshire? That will be us. What exactly do we do all day at BK Tyres? In our first post of 2019, we thought we’d tell you! Here’s a quick review of our services. We’re based in Wallingford, Oxfordshire, so naturally our team cover the whole of the county. However, as Wallingford is in the southern half, we’re also well-placed for neighbouring Berkshire. In fact, we’re roughly halfway between Oxford and Reading. To round out our ‘patch’, we also cover Buckinghamshire. We do sometimes work in other counties too, so it’s always worth giving us a call. If you already know what tyres you want, you can order them online via the website. It’s dead easy, and you can filter the choices according to your needs. As of today, we have 5,711 to choose from, so you should be able to find something! You’ll find our prices competitive, too. We deal with tyres all day, every day, and we’ve got years of experience. If you’re not sure what tyre to order, just give us a call. We pride ourselves on our integrity — and that means we make recommendations based on your needs, not ours! Most of our customers have their tyres fitted at home or at work. Either way, it’s so convenient that we can’t imagine why anyone would do anything else. Going to a stationary garage means either hanging around in a waiting room or arranging to be dropped off/collected by someone else. It’s a bit pointless. Our tyre fitters are punctual, polite and pleasant, which all contributes to a positive experience for our customers. We can’t always do tyre fitting on the same day, but it’s always worth checking. It all depends on whether we’ve got any spare capacity. Call us on 01491 835353 (or 03331 234242 from a mobile). If we can get to you, we will. All our fitting vans have puncture repair facilities. Punctures are often reparable provided that they’re located on the main tread area (as opposed to the side wall). You also need to have stopped fairly promptly after the puncture, or you may have damaged the tyre’s internal structure. Our fitters can give you an honest assessment about whether a tyre is safe and/or economic to repair. For £45, we will get do or best to get you safely on your way — either by repairing the puncture or by putting on your spare wheel. All punctures are repaired to BSAU 159 standard. Not everyone swaps between Summer and Winter tyres, but some drivers consider it essential. If that sounds like you, we can swap over your tyres quickly, efficiently an conveniently. Further details, and our prices, are on this page. Caravans and motorhomes can be surprisingly harsh on tyres. 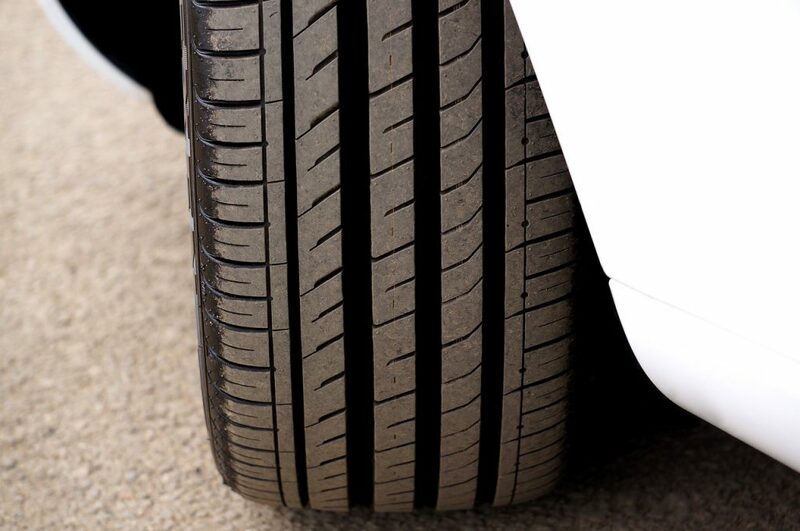 Often, they have long periods without use, and that means the tyres degrade faster. Many holidays get off to a terrible start when the tyres suddenly give up. For this reason, we recommend carefully checking tyres on motorhomes or caravans before taking them out. Our tyre technicians are here to advise. We can also supply tyres for your 4 x 4. Although many 4 x 4s don’t ever venture off-road, some do, and it’s important that you pick the tyres best suited to your usage. Call us and we can discuss your needs. We’ll be back next month with more from the tyre world. Please contact us with any enquiries.